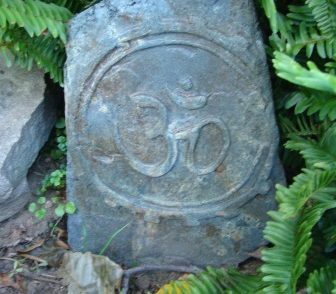 In honor of my new book, The Spirit of Stone – 101 Practical and Creative Stonescaping Ideas for Your Garden (St. Lynn’s Press, 2017) that was released last week I am sharing this post about stone benches. 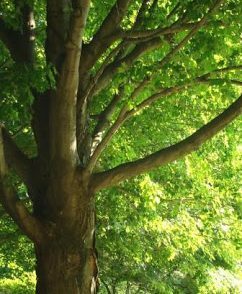 In the heat of the summer when we should be pruning what we really want to do is sit in the cool shade and drink a tall glass of iced tea. Ah, a place to sit in the cool leafy shade! It is like a calming sedative that you feel almost immediately. 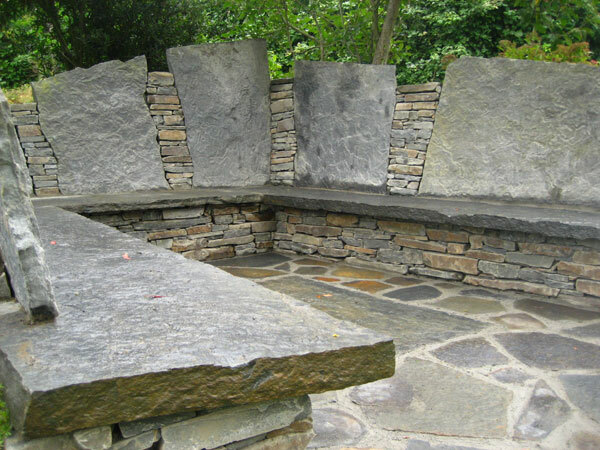 Stone seats in the garden have a storied history. The Druids of Northern Europe fashioned stone chairs out of boulders. It is surmised that they were used for rituals and perhaps coronations of a sort. 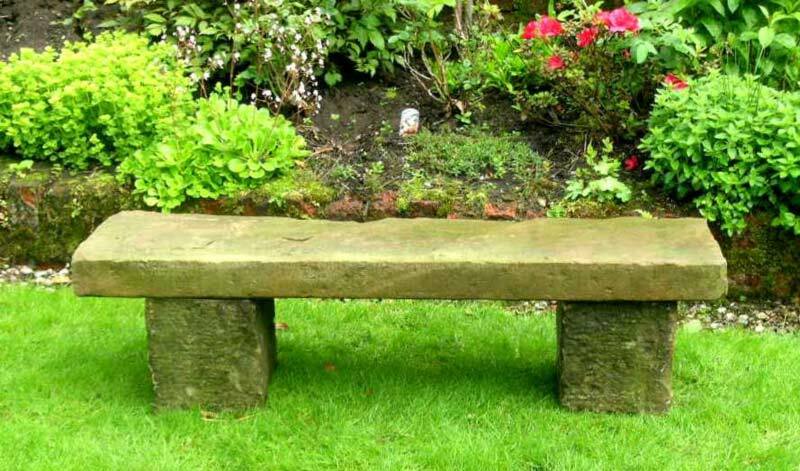 Today, in the British Isles and in France, you can find ancient stone seats in fields, woods and near sacred springs. 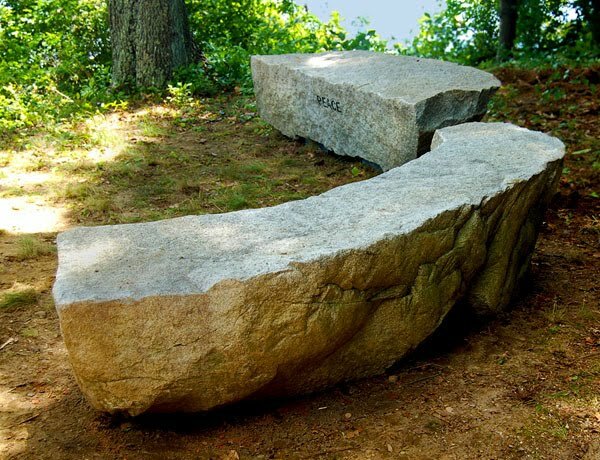 Sunny Wieler, an Irish stonemason / artist, follows in his ancestors’ tradition and wrote about making stone seats in his marvelous blog, Stone Art Blog (check it out!). 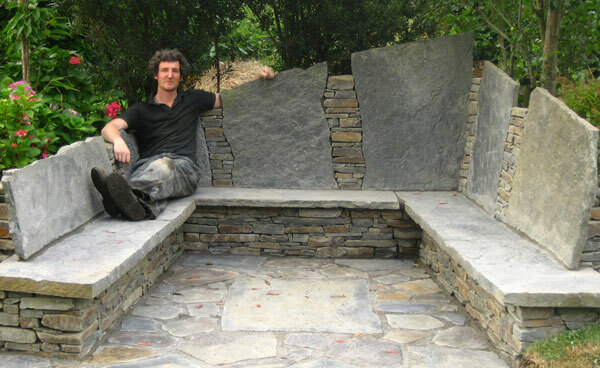 Stone Art is his company which serves County Cork and Dublin. 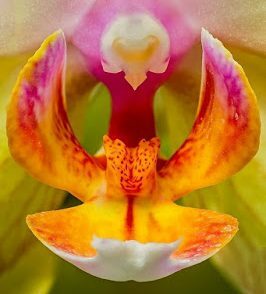 Here are some of his marvelous creations. You might expect all stone seats to be massive and heavy but this is not the case. 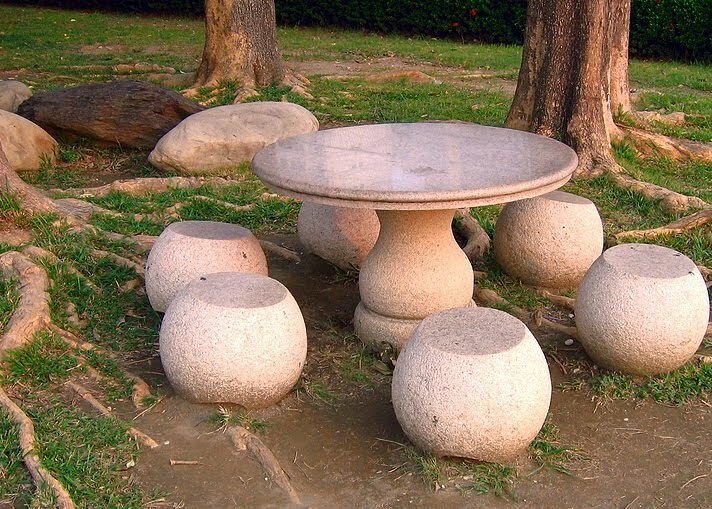 In the Chinese tradition, they fashion rounded stone seats (some are carved to look like drums) which encircle a stone table. You can see a great example in the Chinese garden at Naumkeag in Stockbridge. 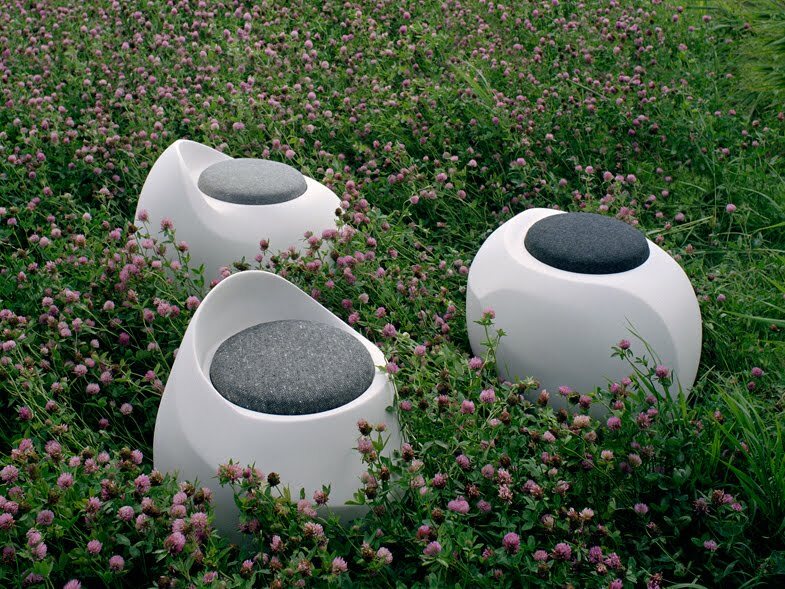 Following this idea, the wonderful designer Jinny Blom created Spore seats. Although not technically pure stone (they are made of a eco friendly moldable stone) they hark back to Chinese stone seats with a more modern flavor. I love them. They were a commissioned design for a permanent installation at London’s Design Centre Chelsea Harbour, which won a prestigious BALI Landscape Award. 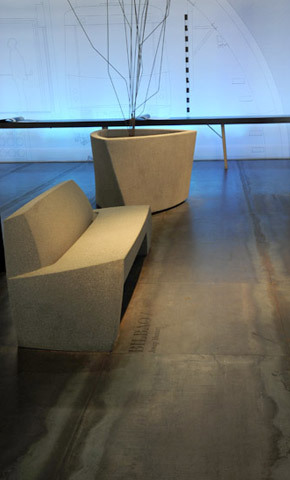 Another modern take on ancient stone benches is made by Escofet. 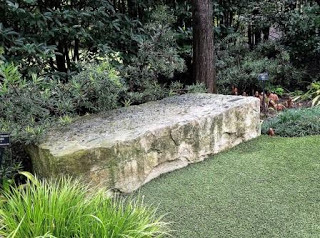 Their Bilbao benches are also not pure stone but look how great they are. a very important member of this family! Mother Sun explained that each sister had her job and each had to benefit from and protect one another. But Fourth Sister’s job was most important of all — for she was the guardian of the North, planted firmly, to protect others from the robbers who soon would come. 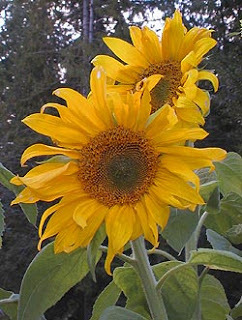 The fourth sister was the elegant sunflower. The Sisters are known to the Native Americans as the “mothers of life” but they all need each other to survive. Corn uses the nitrogen supplied by the nitrogen fixing roots of the beans and provides a place for the beans to climb. The squash suppresses weeds and keeps the soil shaded and moist. The prickly leaves of the squash provide a deterrent from four legged raiders of corn. 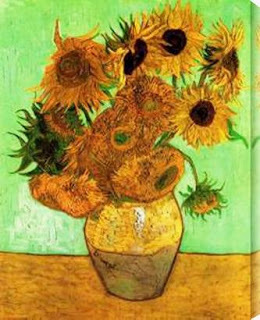 So what does the Sunflower do? 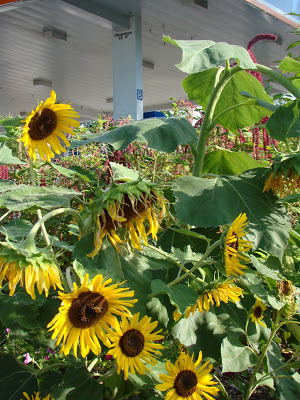 The sunflowers keep the birds from devouring the corn. How? 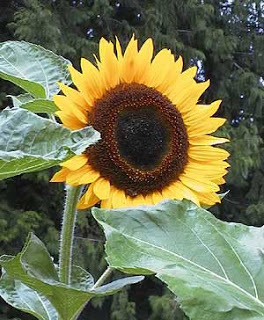 Well, true sunflowers exhibit the heliotropic habit of following the sun through the day but when they are full of sunflower seeds they stay facing the east. 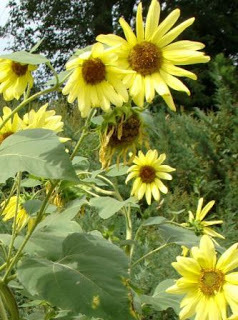 Thus when sunflowers are planted to the north of the garden patch, the birds see the sunflowers first thing in the morning sun and dine on the sunflower seeds rather than the corn kernels…. 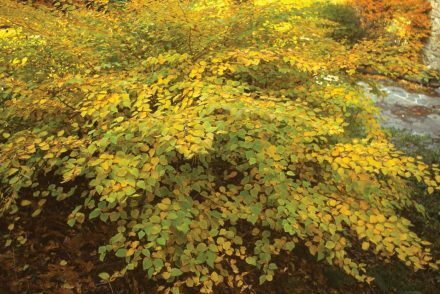 The FOUR SISTERS celebrate the harmony of nature and bring abundance to farmers and happiness to the well fed home. 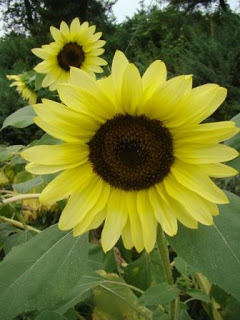 By the way, the true giant sunflower is used as an emblem of the philosophy of Spiritualism. 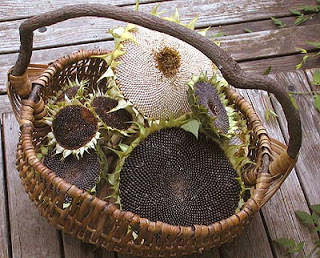 365 seeds (365 days in a year). I cannot verify this but that is the story….. I hope it is true.